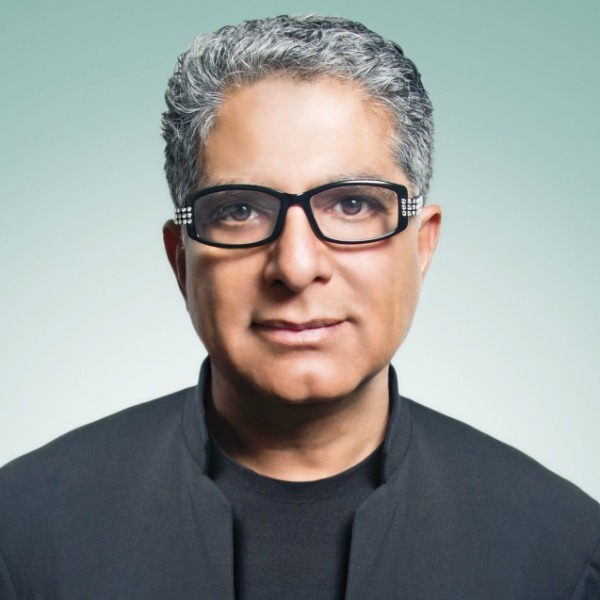 Deepak Chopra has written more than twenty-five books, which have been translated into thirty-five languages. He is also the author of more than one hundred audio- and videotape series, including five critically acclaimed programs on public television. In 1999 Time magazine selected Dr. Chopra as one of the Top 100 Icons and Heroes of the Century, describing him as "the poet-prophet of alternative medicine." Dr. Chopra currently serves as CEO and founder of The Chopra Center for Well Being in La Jolla, California. As we approach the millenium, achievements in science, medicine, and technology continue to change the world. Dr. Chopra believes that the one advancement that will truly revolutionize our lives remains relatively unexplored: "How to more fully realize our ability to change reality to create physical, emotional, spiritual, mental, and social well being." *Please call our office to discuss fees on this speaker.